We use Xen as our hypervisor of choice to ensure that clients have rapid provisioning, fault tolerance, less complexity than other virtualization solutions and live migrations so clients do not experience downtime. Other cloud service providers have a finite amount of resources that limit scalability for websites that can attract infinite amounts of traffic. 100TB's Cloud Brain is able to dynamically assign RAM and CPU providing instant scalability to keep up with your business. Think Elastic. All of our Cloud Storage Units are powered by 48 drives in RAID10 and then replicated real time via Multi-path I/O to give you a total of 96 drives of full redundancy. Snapshot, Rsync, and R1Soft backups are optionally integrated with each server setup. Our network is built for both performance and redundancy. We run a full 10Gbps network as well as redundant paths to ensure your data is safe and performing at all times. 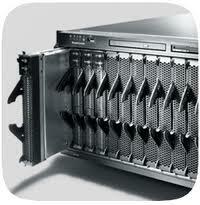 Our VPS cloud architecture is designed from the ground up with redundancy at its core. A traditional server always has a single point of failure, a hard drive, a power supply, or a power outage. Our virtual private server cloud uses a RAID 10 SAN system, powered by Cisco network hardware, allowing virtual machines to be quickly moved to new hardware in the event of a failure. Don't let your website dictate your deployment schedule. From conception to execution, your cloud is ready to use in under five minutes. Stop twiddling your thumbs and start developing. 100TB has an array of Linux distributions and pre-configured application stacks ready to go.